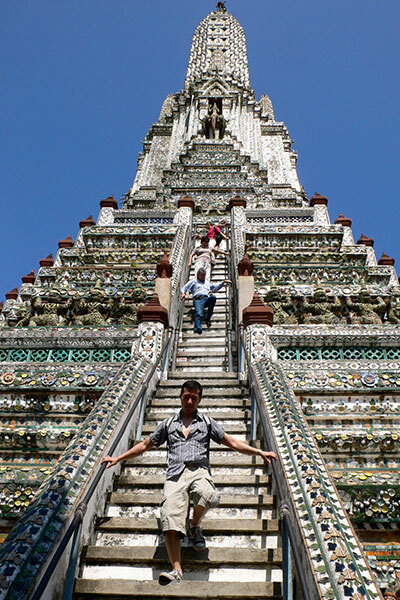 As you cruise up the river in Bangkok, you are bound to catch sight of Wat Arun. 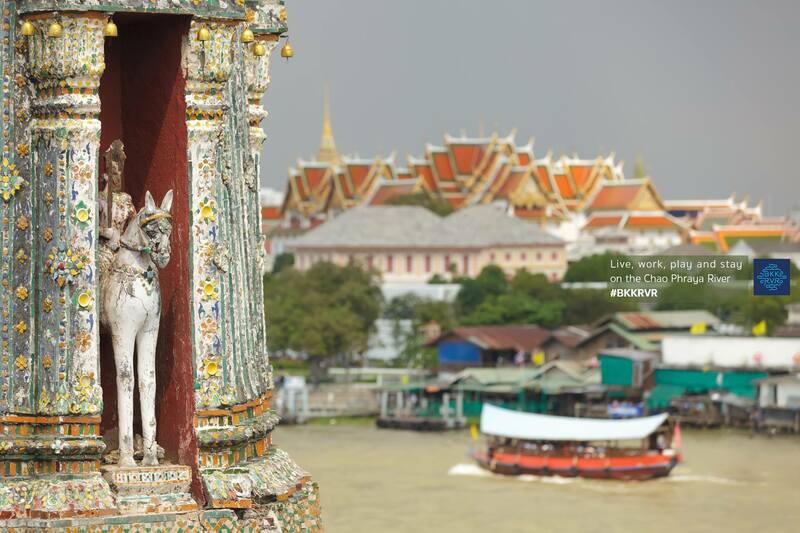 You’ve seen it on a postcard, you’ve seen it as a shot of Bangkok in documentaries. Now see it for real. It is unmissable as it may as well be the only major temple located right on the river’s edge. The west side of the river today is known to be sleepier than the east. But once upon a time, it was the site of the country’s capital. 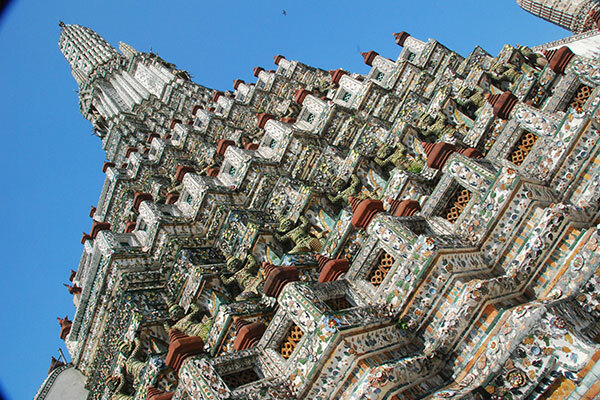 Wat Arun then served as the royal temple, next to the previous royal palace which today houses the Thai navy headquarters. 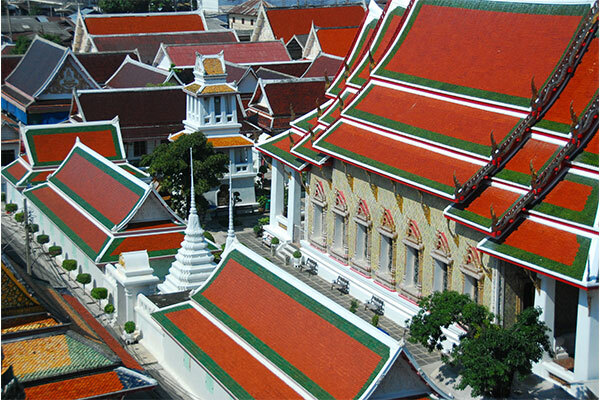 The first thing that should strike you is its style – it is distinctively Khmer with its five spires. A little more reading into it will reveal many Hindu-Buddhist lore to you. Climb up the spires if you dare. 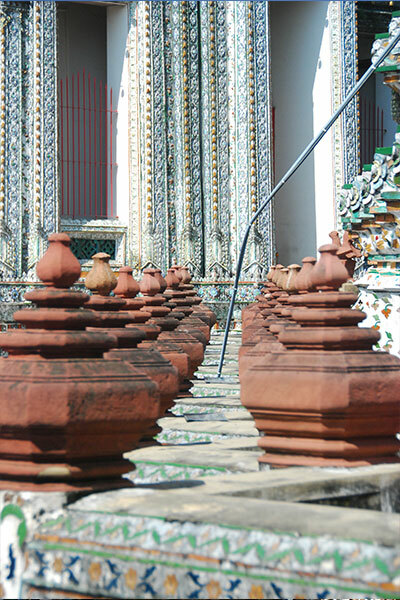 You will be rewarded with a close up look at what makes up the exterior of the temple. From top to bottom, it is encrusted with pieces of porcelain thought to be used as ballast in old Chinese junk boats during older Siam days. Who would have thought reuse of materials for construction was already practiced so long ago?